There are so many ways and application are available on the internet which allows you to lock the screen of your desktop, so no one can login your desktop. But if you are looking for a way to lock only keyboard and mouse on your desktop, not the screen then you have to try the small utility called Key Freeze. 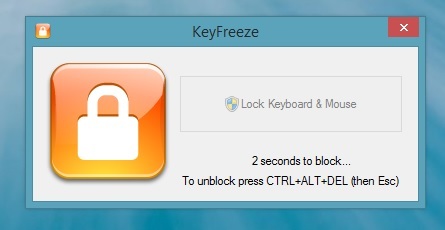 Key Freeze is free to download application which provides you the option to block your keyboard and mouse without “locking” the screen. Suppose you are installing some application on your desktop or watching some movie and want to leave your desktop for some time and want to lock your keyboard and mouse, so that no one can use them and create some problem in your app installation or video then the application is definitely for you. 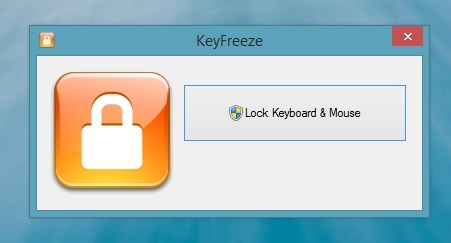 KeyFreeze is a simple child lock tool for your personal computer. Once the application is activated on your desktop no one can use your PC. Application works on all the windows platform and we tested this app on our Windows 8.1 desktop. Lets take a look how the application works on the Windows desktops. 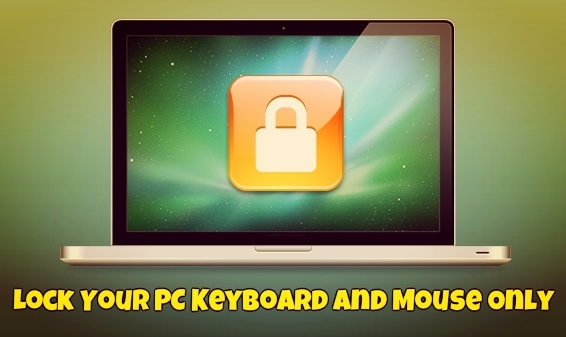 Once you click on the lock keyboard and mouse button, your pc is locked and your screen is working only. To deactivate the application on your desktop you have to press the ‘CTRL + ALT +DEL’ and then ‘ESC’ key(s).